Next week, the tasting-room table will welcome a new addition: spittoons in the form of charming, quirky tumblers that will make you giggle when you hold one. Last year I had the pleasure to make the acquaintance of Justin Parr, a talented glass artist out of San Antonio, Texas. While enjoying a glass of wine at his studio, I fell in love with the small free-form tumbler he had casually handed me. 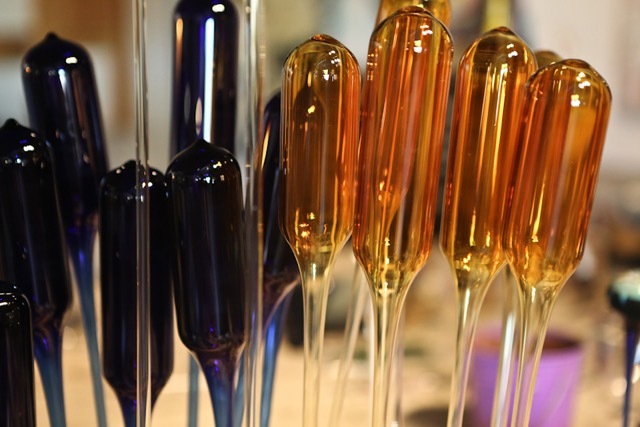 Not long after, we began developing a line of colored glass containers to use as spittoons in the tasting room. I ONCE HEARD A COMEDIAN SUGGEST that the perfect thing to say to sound like an expert while swirling a glass of wine is “The rains were good that year.…” It got a laugh from everyone in the club that night, but what makes me laugh is the idea that the rains are ever simply considered “good” in any year. In 2013, for instance, there wasn’t enough rain. The 2010 rains were poorly timed. Now, in the winter of 2015-’16, erosion is a concern. Good or bad, we don’t just roll over in the mud and throw our hands up. 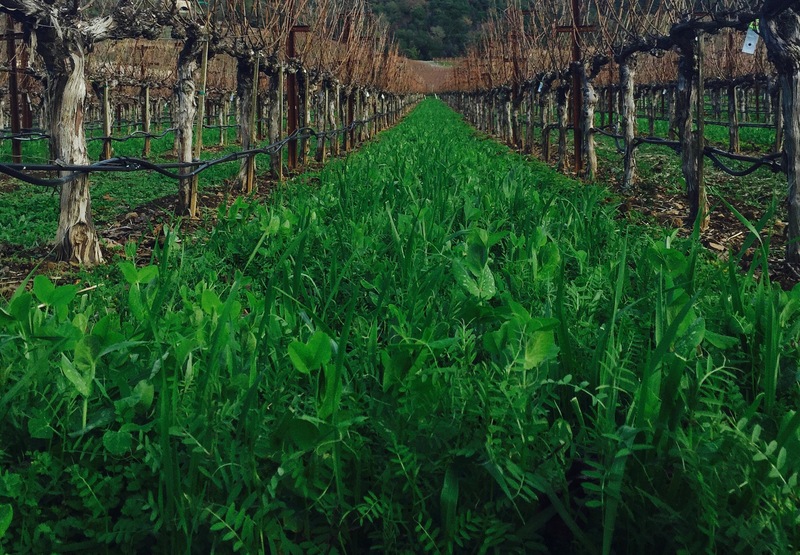 The committed winemaker plants seeds in the mud — and prays for good weather. 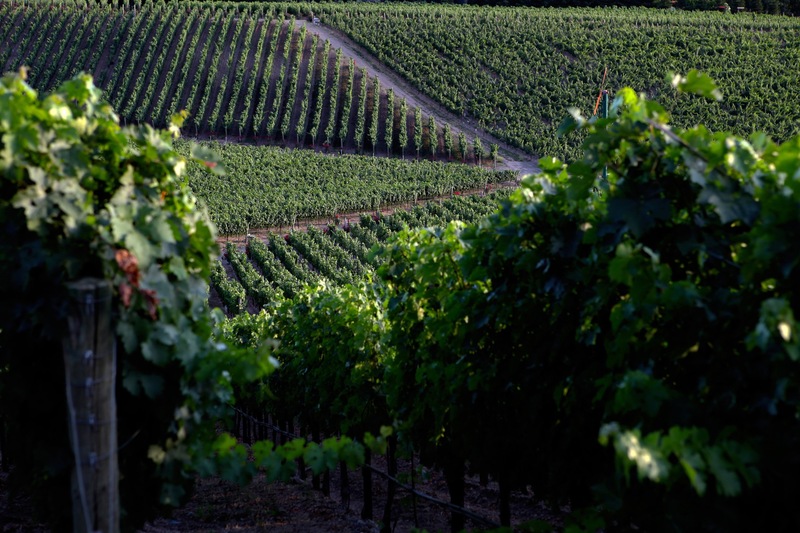 Despite its proximity to Silicon Valley, Napa Valley wineries are shockingly lacking in tech development. Not so for this one. IN A TRADITIONAL wine fermentation tank, if the yeasts start acting weird, it might be days before anyone smells or tastes the damage. But at Palmaz Vineyards in Napa, California, staff can detect risk factors before they develop into wine-spoiling problems. 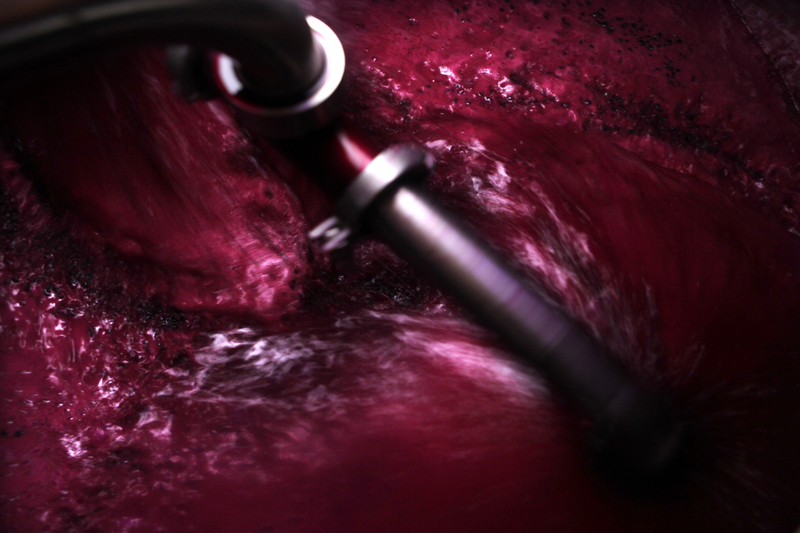 That’s thanks to the Fermentation Intelligence Logic Control System, a Minority Report–style setup that tracks the vino at a molecular level, giving the winemaker the information needed to adjust temperatures in different parts of the tank with incredible precision (control over heat = control over yeast). The system is based on a submarine-­industry technology called sono-­densitometry: A tuning-fork-like probe inside each tank measures vibrations 10 times per second, yielding millions of data points about the density of the liquid. That tells you the sugar and alcohol levels, and thus the rate at which fermentation is occurring. Then software slurps up this cloud of data to show, say, temperature variations. 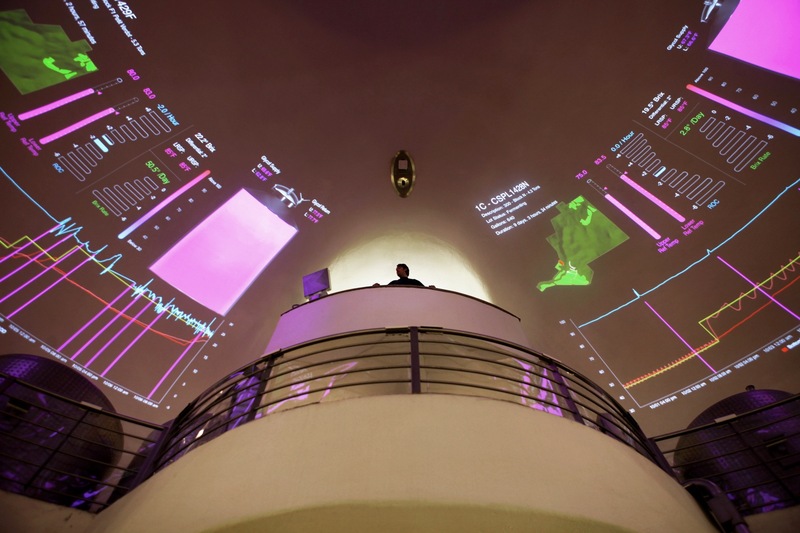 That’s projected on the dome of Palmaz’s fermentation cave—a curved display of charts and graphs showing an ancient process in far-out detail. 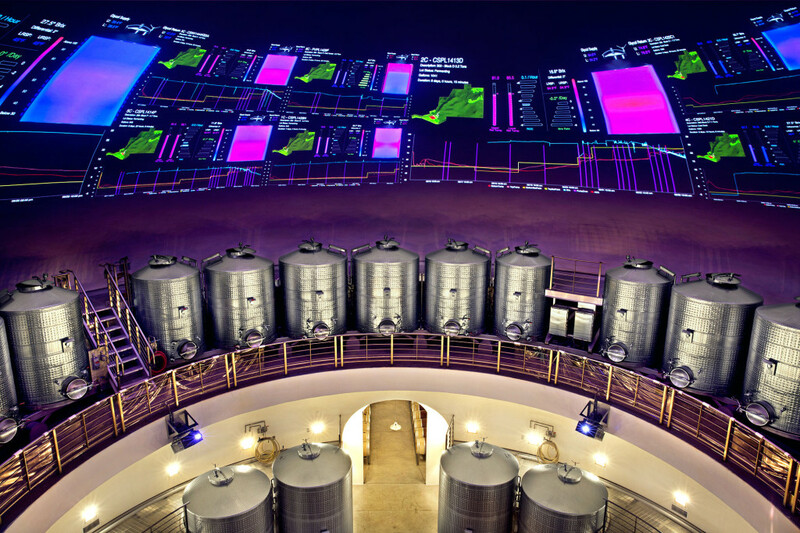 A geotagging system means that the tanks even “know” exactly which person is standing in front of which tank, so the projections a particular winemaker is working on follow them around. It’s like Big Brother for big cabs. WINE BUSINESS MONTHLY featured Palmaz Vineyards this month in a fascinating article regarding the complex art of cap management during fermentation. Christian Palmaz explains how the winery’s unique thermographic system allows winemakers to understand temperature distribution inside of a fermenter. This research has led to new understandings as to why and when certain aromas and favors extract into wine. The full article can be seen by clicking here. Season Greetings from Our Family to Yours! 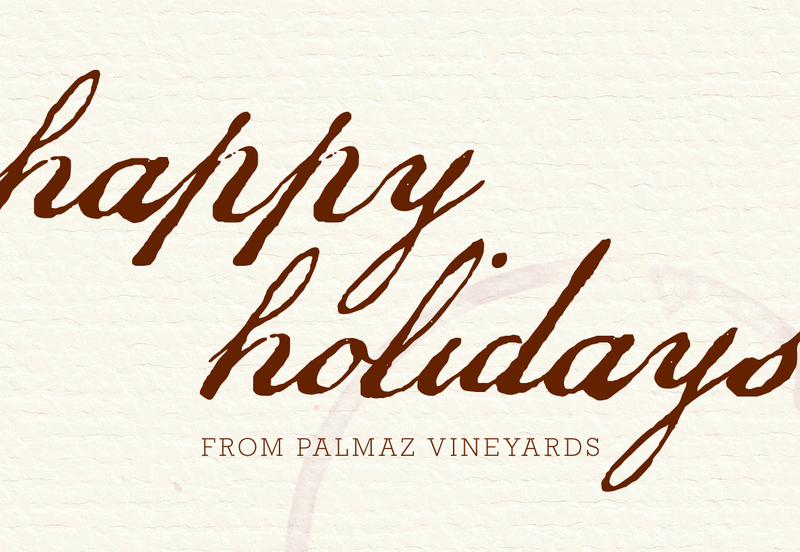 From the Palmaz Family, we wish everyone a wonderful holiday and new year! Cheers! 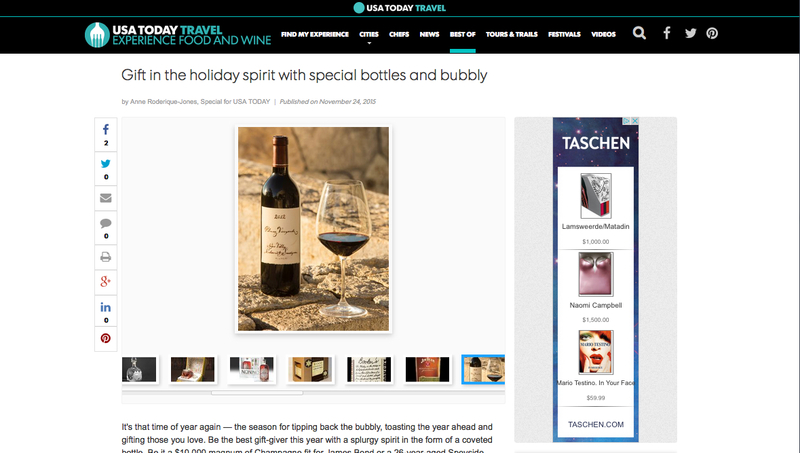 USA TODAY has made a list and checked it twice — and regardless of whether you’ve been naughty or nice, Palmaz Vineyards 2012 Cabernet Sauvignon is the must-have stocking stuffer for the oenophile in your life. 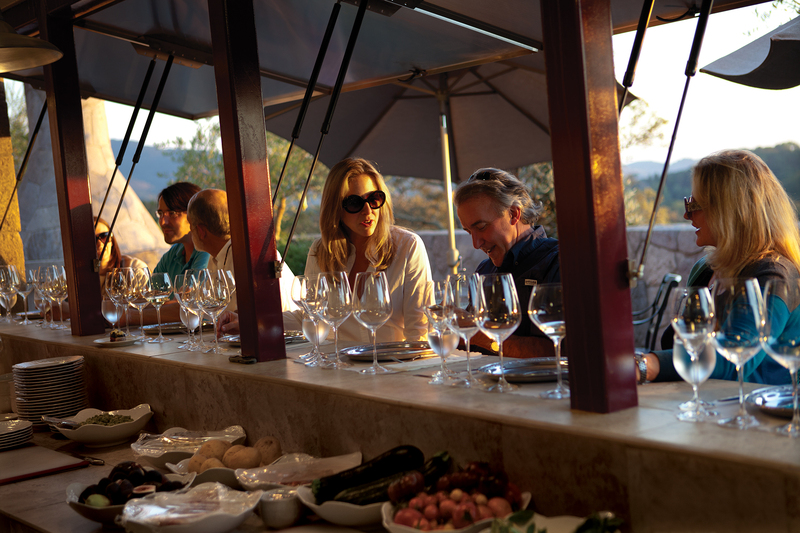 ENTERTAINING GUESTS at Palmaz Vineyards is an intrinsic, cherished part of who we are — so we’re always looking for new ways to extend our hospitality and, whenever possible, infuse it with the family’s Argentine roots. 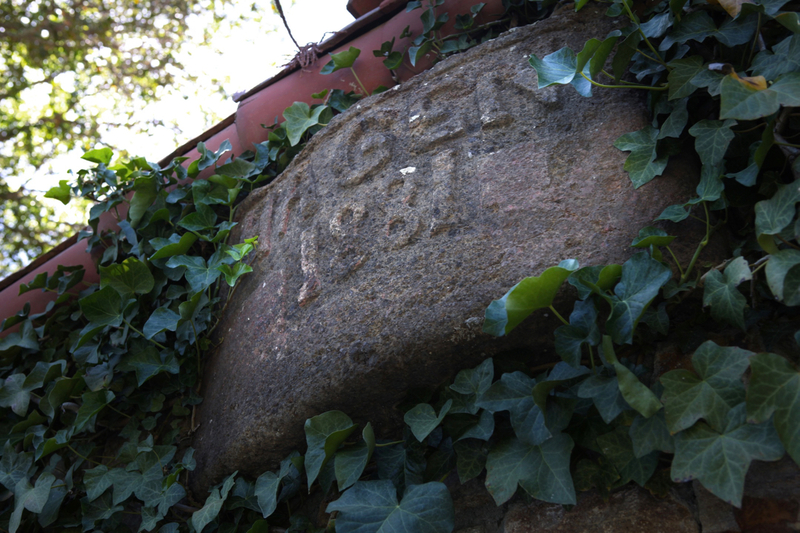 AS PART OF the Palmaz Family’s unceasing dedication to historical and archaeological research and preservation of the Cedar Knoll estate, we recently came across an unpublished academic manuscript from 1965, A History of the Napa Viticultural District, by Ernest P. Peninou.